We all want to close deals faster. Too many times the way salespeople close a deal faster is by cutting the price, thinking a lower price will create a faster decision. Don’t waste the customer’s time or your time going into background information on you and your company and the 100+ ways you can help them. 2. Only present to decision makers. If it’s not a presentation to the person who can buy, why are you making it? Presenting to other people may help you feel good, but it’s only going to stall a decision. 3. Focus your questioning on the needs the customer shares with you and nothing else. Keep it simple! Focus 100% on what the customer says their needs are, and if they give you multiple needs, target only the most critical one. 4. Have a very defined “P.O.E” (Point of Entry) for each customer type. Segment the customers into types and have a buying package already built out for each type. 5. Respond to all leads within a few hours, not a few days. If a lead contacts you, they have an interest. The longer you wait, the more you risk them rethinking their needs. 6. Simplify the ordering process by requiring less information. For the first order, keep it simple. Don’t ask for information you don’t need. Let the customer experience what you provide, and then you can focus on getting the information you want to help make the next sale. 7. Build your customer development process around referrals. Referrals by nature are warm prospects. When you have a referral, they will accept what you have to say and provide you with much higher regard than if you found them without a referral. 8. Make the customer’s initial purchase fit comfortably within their risk profile of price and expectations. Again, the mindset is keep it simple. 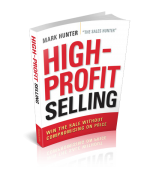 Complete the first sale, do it well, meet their expectations and you’ll be able to close another sale. 9. Do the work for the customer. Anytime you ask the customer to do something, you run the risk of slowing the process. Help them out by doing as much as you can for them. 10. Have the attitude on every call that you’re going to close the sale now. If you don’t think you can close a sale, you won’t. Simply believing in yourself and the ability to close quickly can and will do more than nearly anything else. Speed sells! Pretty simple concept. Sure there are some exceptions, but even large complex sales can many times be broken apart into smaller purchases, which many times will increase total sales. I’ve found on too many occasions if the sale is too large and/or too complex, the decision can wind up being delayed indefinitely — and even put off forever due to the time and risk involved. PrevPreviousFree Webinar! Still Time to Learn How to Close Deals Faster! streamline a complex buying decision to the client’s chief priority. customer with everything at once could have killed the deal.